Our office will be closed from 12-24 April, although we may be able to access the internet and allow blog-comments through to be published. The shop will remain open and we will be dealing with orders as quickly as possible on our return. British Engineering 2 May, Queen Victoria Bicentenary 24th May 2019, Stockholmia. As usual cover producers have started putting online their offerings for the next two stamp issues. You can see those of Adrian Bradbury FDCs here. 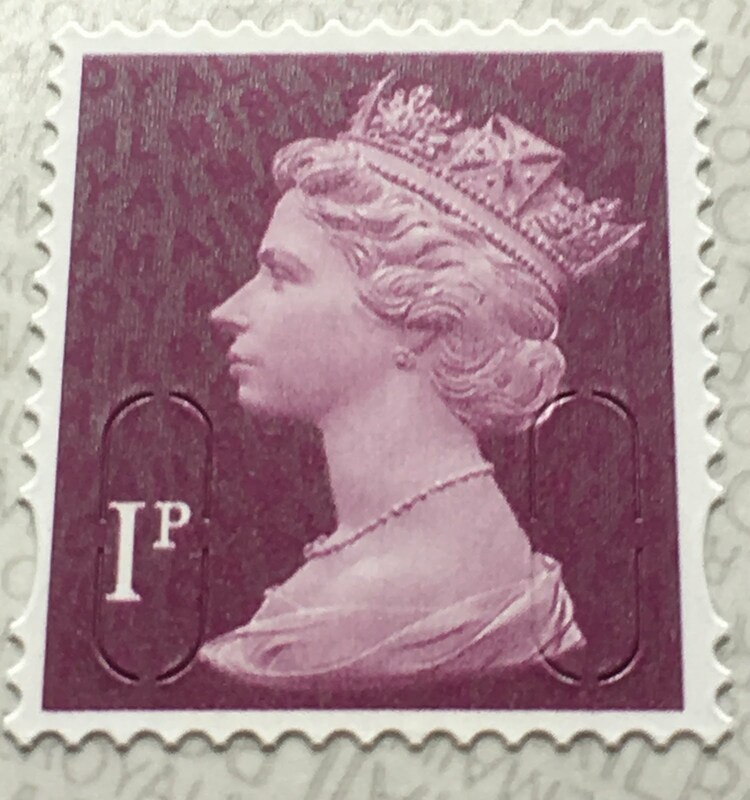 As usual, we will provide information and images when we are permitted to which in both cases is the date of issue, or when Royal Mail put them on their website, which should be earlier, but who knows! 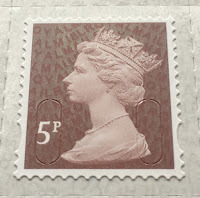 To coincide with the Stockholmia 2019 World Stamp Exhibition, which is also marks the 150th anniversary of the Royal Philatelic Society London (RPSL), Royal Mail will issue the usual type of Exhibition sheet containing 20 Hello stamps. The labels have images of Stockholm and artifacts provided by the RPSL. This will be issued on 29 May 2019 priced at £15.10. The Royal Mail stock code is AT108. Looking back over 2018, there was an interesting pattern for printing of the low 'make-up' values of Machin definitives: the 1p, 2p, 50p 10p, 20p, 50p and £1 values. 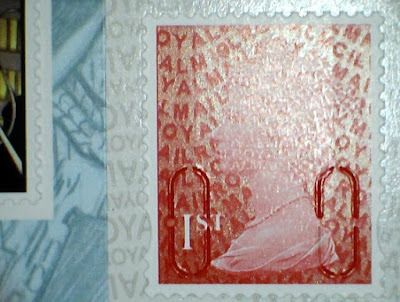 The new tariff stamps were first printed (in, presumably, small quantities) in January. The second printing of these was in February, along with all the make-up values except the 50p - which hasn't been printed since autumn 2017 - and the 1p. May brought some more reprints, including the 1p, but not the 5p. And in August the 1p, 2p, 10p and 20p values were printed again. So the 2p, 10p, 20p were printed three times, the 1p and £1 only twice, and the 5p was only printed once. Which suggests that Royal Mail had a huge quantity of 5p printed in February. 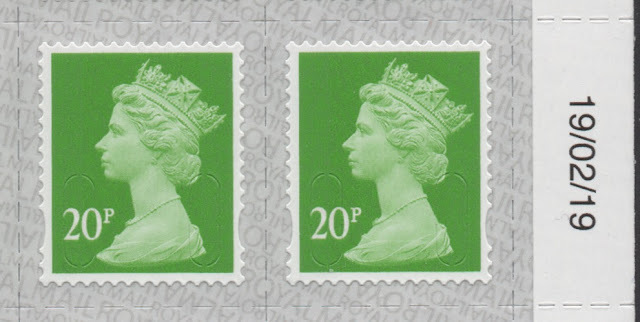 – between 2nd and 2nd Large the gap is 21p which needs only two stamps (and no 5p). Upgrading a letter to Europe, if already stamped with a 1st class stamp, was easy - add a 2nd class stamp. So is it fair to assume that Royal Mail production got their forecasts right for the 5p and not the others, or were there good reasons for the variability of the production dates? We'll never know, but it will be interesting to see how things develop in 2019. I wonder how many values were actually printed on or around 19 February when the 20p was printed? 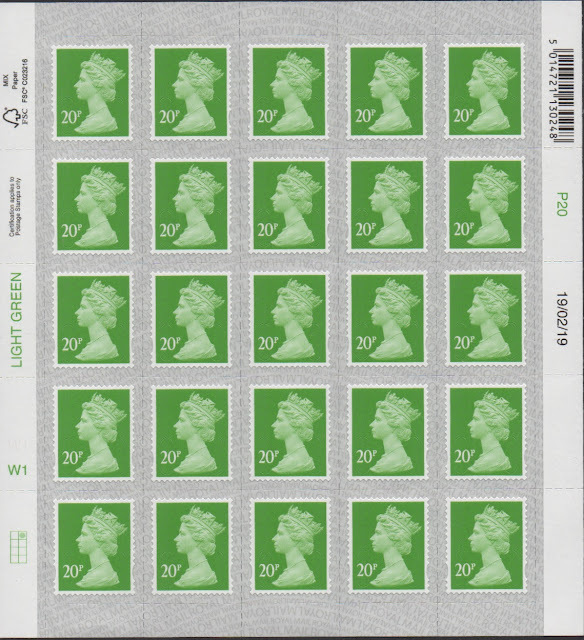 The first Machin definitive reprint with M19L coding is the 20p counter sheet, which join the new tariff stamps printed in January. 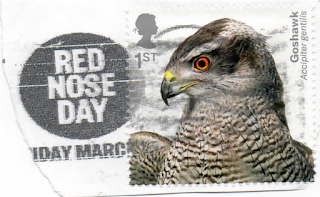 The other M19L stamp issued so far is the 1st class red MCIL from the Marvel Comics mixed retail booklet. 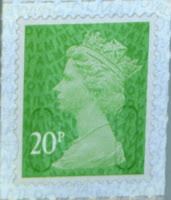 The Marvel Comics stamp (Norvic 2936aC.9) was shown earlier, but the 20p (3020.9) was actually found in Post Office branches before that was issued. The printing date for the 20p is 19/02/19, and the backing paper is suLUsiLI. 2936aC.9 - 1st class MCIL from mixed booklets, Marvel Comics 14.3.19 and Birds of Prey 4.4.19. A new version of the Norvic Machin Checklist will be published soon. According to The Mirror, who have their story from Talk TV, the 60th Anniversary of TV soap Coronation Street will be marked with a set of stamps next year, 2020. Talk TV can exclusively reveal ITV bosses are in talks with Royal Mail over the anniversary collection. Likely to be featured are iconic couple Jack and Vera Duckworth - who were played by the late Bill Tarmey and Liz Dawn. And Corrie icon Hilda Ogden - who arrived on the street in 1964, played by Jean Alexander - is also in line for the accolade. “It’s a huge honour,” a source tells me. “The collection would be an acknowledgement of how beloved Corrie is in this country. Whether ITV is talking to Royal Mail, or to Isle of Man Stamps or another producer, none of the postal operators has made any comment yet. A set of Coronation Street cinderella 'stamps' was produced in 1995 for one of the Scottish islands, and the programme was left out of the Royal Mail ITV anniversary commemoration in 2005. 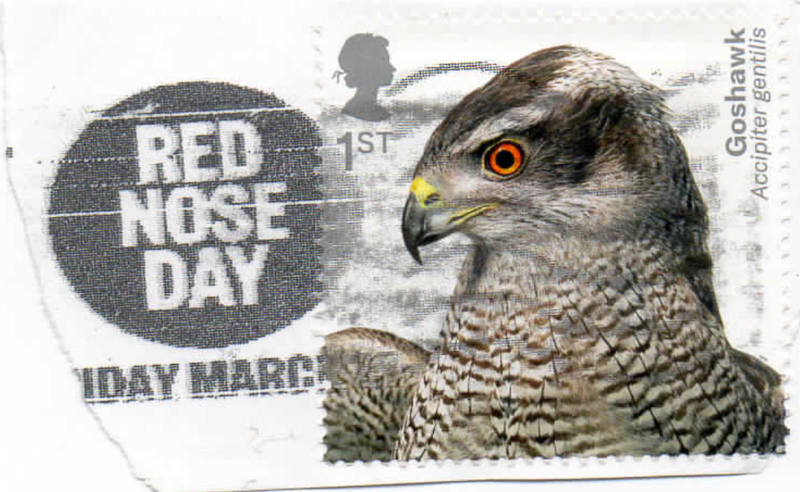 It's a while since anybody has reported the early release of any of our special stamps, but DB has provided a picture of this torn off corner of an envelope showing one of today's new Birds of Prey stamps. Of course it could have been as recently as this week if one of the Mail Centres was still using the Red Nose Day slogan in error. But it seems more likely that this was used in the week 9-15 March, nearly a month before the issue date, and presumably sold at the old price! Royal Mail has started early with a new slogan on 1 April. World Autism Day is marked today on 2 April and we have received the first example on our mail today from Jubilee Mail Centre on 1 April. As usual we will add further slogans as received or reported to us!